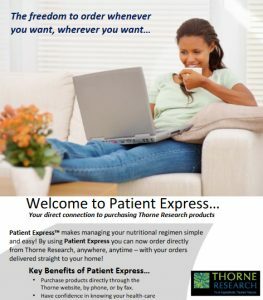 Click on the image for instructions on ordering Thorne Research Products. Integrated Qi Gong for Lower Spinal Qi teaches breath and movement that bring energy to the joints and ligaments of the lower back. Lower back pain is often the result of poor circulation. This practice encourages “variable passive range of motion” which assists the connective tissue of the lower back to regenerate and create greater flexibility. It also emphasizes the development of the “Lower Qi Center” or core strength and lower “Dan Tian” breathing enhancement practice. A practice anyone can do. From the elite athlete to elderly, anyone can gain flexibility, balance, coordination and greater vitality.